Inspired by the likes of Devo and Polysics, Buzz Bop are a Japanese-Influenced, Electro-Rock band with a cheerful and retro feel! 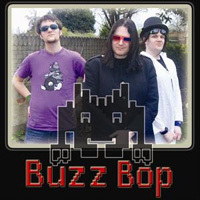 Buzz Bop were founded in the spring of 2006 by Daniel Lyden (Buzz) and Christian Woods (Bop), after experimentations with synths and a vocoder produced a song that we like to call ‘Sci-Fi’. Since then, Buzz Bop have built up on their musical equipment and have been writing many more amusing songs. On Friday 1st Feb 2008, Buzz Bop finally had their gig debut. This day also saw the arrival of newest member, Tom King (Spoon) as the guitarist, ready to impress the world with his funkiness. 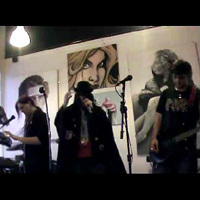 2008 also saw the release of their first album/demo, entitled 'Switch on the Fun! ', and can be ordered by contacting us on here. The main point of the band is to make people happy....with all the bad things going on in the world, people need a band like us to forget about that for a while and just Have a Happy! !